Bergen, historically Bjørgvin, is a city and municipality in Hordaland on the west coast of Norway. At the end of the first quarter of 2016, the municipality's population was 278,121, and the Bergen metropolitan region has about 420,000 inhabitants. Bergen is the second-largest city in Norway. The municipality covers 465 square kilometres (180 sq mi) and is on the peninsula of Bergenshalvøyen. The city centre and northern neighbourhoods are on Byfjorden, "the city fjord", and the city is surrounded by mountains; Bergen is known as the city of seven mountains. Many of the extra-municipal suburbs are on islands. Bergen is the administrative centre of Hordaland and consists of eight boroughs—Arna, Bergenhus, Fana, Fyllingsdalen, Laksevåg, Ytrebygda, Årstad and Åsane. Trading in Bergen may have started as early as the 1020s. According to tradition, the city was founded in 1070 by king Olav Kyrre; and was named Bjørgvin, "the green meadow among the mountains". It served as Norway's capital in the 13th century, and from the end of the 13th century became a bureau city of the Hanseatic League. Until 1789, Bergen enjoyed exclusive rights to mediate trade between Northern Norway and abroad and it was the largest city in Norway until the 1830s when it was surpassed by the capital, Oslo. What remains of the quays, Bryggen, is a World Heritage Site. The city was hit by numerous fires over the years. The "Bergen School of Meteorology" was developed at the Geophysical Institute beginning in 1917, the Norwegian School of Economics was founded in 1936, and the University of Bergen in 1946. From 1831 to 1972, Bergen was its own county. In 1972 the municipality absorbed four surrounding municipalities and became a part of Hordaland county. The city is an international centre for aquaculture, shipping, offshore petroleum industry and subsea technology, and a national centre for higher education, media, tourism and finance. Bergen Port is Norway's busiest in terms of both freight and passengers with over 300 cruise ship calls a year bringing nearly a half a million passengers to Bergen, a number that has doubled in 10 years. Almost half of the passengers are German or British. The city's main football team is SK Brann and the city's unique tradition is the buekorps. Natives speak the distinct Bergensk dialect. The city features Bergen Airport, Flesland, Bergen Light Rail, and is the terminus of the Bergen Line. Four large bridges connect Bergen to its suburban municipalities. 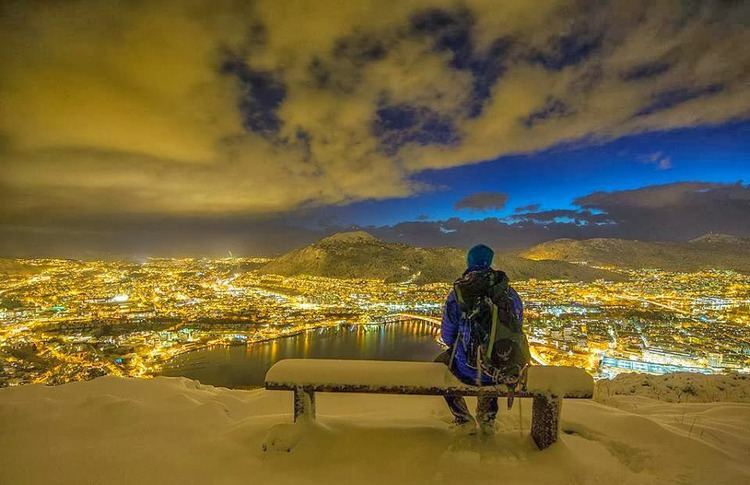 Bergen is well known for having a mild winter climate, though with a lot of precipitation. During December - March, the temperature difference between Bergen and Oslo can be up to 30 degrees Celsius, despite the fact that both cities are at approximately 60 degrees North. The Gulf Stream keeps the sea relatively warm, considering the latitude, and the mountains protect the city from cold winds from the north, north-east and east. The city of Bergen was traditionally thought to have been founded by king Olav Kyrre, son of Harald Hardråde in 1070 AD, four years after the Viking Age ended with the Battle of Hastings. Modern research has, however, discovered that a trading settlement was already established during the 1020s or 1030s. Bergen gradually assumed the function of capital of Norway in the early 13th century, as the first city where a rudimentary central administration was established. The city's cathedral was the site of the first royal coronation in Norway in the 1150s, and continued to host royal coronations throughout the 13th century. Bergenhus fortress dates from 1240s and guards the entrance to the harbour in Bergen. The functions of the capital city were lost to Oslo during the reign of King Haakon V (1299–1319). In the middle of the 14th century, North German merchants who had already been present in substantial numbers since the 13th century, founded one of the four Kontore of the Hanseatic League at Bryggen in Bergen. The principal export traded from Bergen was dried cod from the northern Norwegian coast, which started around 1100. The city was granted monopoly with regard to trade from the north of Norway, by King Håkon Håkonsson (1217-1263). Stockfish was the main reason that the city became one of North Europe's largest centres for trade at the time. By the late 14th century, Bergen had established itself as the centre of the trade in Norway. The Hanseatic merchants lived in their own separate quarter of town, where Middle Low German was used, enjoying exclusive rights to trade with the northern fishermen who each summer sailed to Bergen. 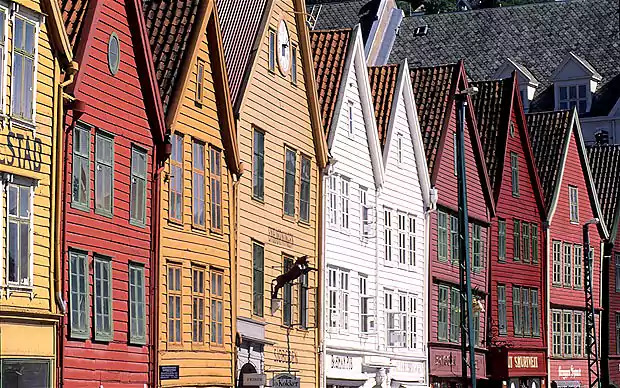 Today, Bergen's old quayside, Bryggen, is on UNESCO's list of World Heritage Sites. In 1349, the Black Death was inadvertently brought to Norway by the crew of an English ship arriving in Bergen. In the 15th century, the city was attacked several times by the Victual Brothers, and in 1429 they succeeded in burning the royal castle and much of the city. In 1665, the city's harbour was the site of the Battle of Vågen, where an English naval flotilla attacked a Dutch merchant and treasure fleet supported by the city's garrison. The stock exchange, Bergen børs, was established in 1813. Bergen was separated from Hordaland as a county of its own in 1831. It was established as a municipality on 1 January 1838 (see formannskapsdistrikt). The rural municipality of Bergen landdistrikt was merged with Bergen on 1 January 1877. The rural municipality of Årstad was merged with Bergen on 1 July 1915. The rural municipalities of Arna, Fana, Laksevåg, and Åsane were merged with Bergen on 1 January 1972. The city lost its status as a separate county on the same date. Bergen is now a municipality in Norway, in the county of Hordaland. During the Second World War, Bergen was occupied on the first day of the German invasion on 9 April 1940, after a brief fight between German ships and the Norwegian coastal artillery. On 20 April 1944, during the German occupation, the Dutch cargo ship Voorbode anchored off the Bergenhus Fortress, loaded with over 120 tons of explosives, blew up, killing at least 150 people and damaging historic buildings. The city was subject to some Allied bombing raids, aimed at German naval installations in the harbour. Some of these caused Norwegian civilian casualties numbering about 100. The resistance groups in Bergen were Saborg, Milorg, "Theta-gruppen", Sivorg, Stein-organisasjonen and the Communist Party. Bergen is pronounced in English or and in Norwegian [ˈbærɡn̩] ( listen). The Old Norse forms of the name were Bergvin and Bjǫrgvin (and in Icelandic and Faroese the city is still called Björgvin). The first element is berg (n.) or bjǫrg (n.), which translates to mountain(s). The last element is vin (f.), which means a new settlement where there used to be a pasture or meadow. The full meaning is then 'the meadow among the mountains'. A suitable name: Bergen is often called 'the city among the seven mountains'. It was the playwright Ludvig Holberg who felt so inspired by the seven hills of Rome, that he decided that his home town must be blessed with a corresponding seven mountains – and locals still argue which seven they are. In 1918, there was a campaign to re-introduce the Norse form Bjørgvin as the name of the city. This was turned down – but as a compromise the name of the diocese was changed to Bjørgvin bispedømme. Bergen occupies most of the peninsula of Bergenshalvøyen in the district of Midthordland in mid-western Hordaland. The municipality covers an area of 465 square kilometres (180 square miles). Most of the urban area is on or close to a fjord or bay, although the urban area has several mountains. The city centre is surrounded by the Seven Mountains, although there is disagreement as to which of the nine mountains constitute these. Ulriken, Fløyen, Løvstakken and Damsgårdsfjellet are always included as well as three of Lyderhorn, Sandviksfjellet, Blåmanen, Rundemanen and Kolbeinsvarden. Gullfjellet is Bergen's highest mountain, at 987 metres (3,238 ft) above mean sea level. Bergen features a temperate oceanic climate (Köppen: Cfb). Bergen experiences plentiful rainfall in all seasons, with annual precipitation measuring 2,250 mm (89 in) on average. This is because Bergen is surrounded by mountains that cause moist North Atlantic air to undergo orographic lift, yielding abundant rainfall. It rained every day from 29 October 2006 to 21 January 2007, 85 consecutive days. The highest temperature ever recorded was 31.8 °C (89.2 °F) on 29 June 1947 and the lowest was −16.3 °C (2.7 °F) in January 1987. Bergen's weather is warmer than the city's latitude (60.4° N) might suggest. Temperatures below -10 degrees Celsius are rare. Every summer, temperatures often reach the upper 20s, but the city sees temperatures over 30 degrees only a few days each decade. Bergen has the longest growing season of the larger cities in Norway. The high precipitation is often used in the marketing of the city, and features to a degree on postcards sold in the city. Compared to areas behind the mountains on the Scandinavian peninsula, Bergen is much wetter and has a narrower temperature range with cool summers and mild winters. In terms of temperature and precipitation, Bergen has more in common with the climate of Scotland across the sea than with Oslo and Sweden, where long heat and cold waves regularly occur. In recent years, precipitation and winds have increased in the city. In late 2005, heavy rains caused floods and several landslides, the worst of which killed three people on 14 September. Some indications are that, due to climate change, storms causing landslides and floods will become more severe in the area and in the surrounding counties. As a response, the municipality created a special 24-man rescue unit within the fire department in 2005, to respond to future slides and other natural disasters, and neighbourhoods considered at risk of slides were surveyed in 2006. The prediction was supported by over 480 landslides in Hordaland county from the spring of 2006 to the summer of 2007. Most of the slides hit roads, however none of them caused damage to cars, buildings, or people, until October 2007, when a large dislodged rock killed a motorist. Another concern is the risk of rising sea levels. Bryggen is already regularly flooded at extreme tides, and it is feared that as sea levels rise, floods will become a major problem in Bergen. Floods may in the future reach the railroad tracks leading out of the city. Among others, Stiftelsen Bryggen, the foundation responsible for preserving the UNESCO site, has suggested that a sea wall, one that could be raised and lowered as demanded by the tides, be built outside the harbour to protect the city. The sunshine hours were recorded at Florida in Bergen, and many hours are lost due to terrain blocking the sun, especially Ulriken mountain. A new sunrecorder was established at Bergen Airport Flesland in late 2015 by met.no, recording 1,604 sunhours in 2016. As of the end of Q1 2016, the municipality had a population of 278,120, making the population density 599 people per km2. As of 1 January 2015, the main urban area of Bergen had 250,420 residents and covered an area of 96.71 square kilometres (37.34 sq mi). Other urban areas, as defined by Statistics Norway, consist of Indre Arna (6,536 residents on 1 January 2012), Fanahammeren (3,690), Ytre Arna (2,626), Hylkje (2,277) and Espeland (2,182). Ethnic Norwegians make up 84.5% of Bergen's residents. In addition, 8.1% were first or second generation immigrants of Western background and 7.4% were first or second generation immigrants of non-Western background. The population grew by 4,549 people in 2009, a growth rate of 1,8%. Ninety-six percent of the population lives in urban areas. As of 2002, the average gross income for men above the age of 17 is 426,000 Norwegian krone (NOK), the average gross income for women above the age of 17 is NOK 238,000, with the total average gross income being NOK 330,000. In 2007, there were 104.6 men for every 100 women in the age group of 20–39. 22.8% of the population were under 17 years of age, while 4.5% were 80 and above. The immigrant population (those with two foreign-born parents) in Bergen, includes 42,169 individuals with backgrounds from 180 countries representing 15.5% of the city's population (2014). Of these, 50.2% have background from Europe, 28.9% from Asia, 13.1% from Africa, 5.5% from Latin America, 1.9% from North America and 0.4% from Oceania. The immigrant population in Bergen in the period 1993–2008 increased by 119.7%, while the ethnic Norwegian population grew by 8.1% during the same period. The national average is 138.0% and 4.2%. 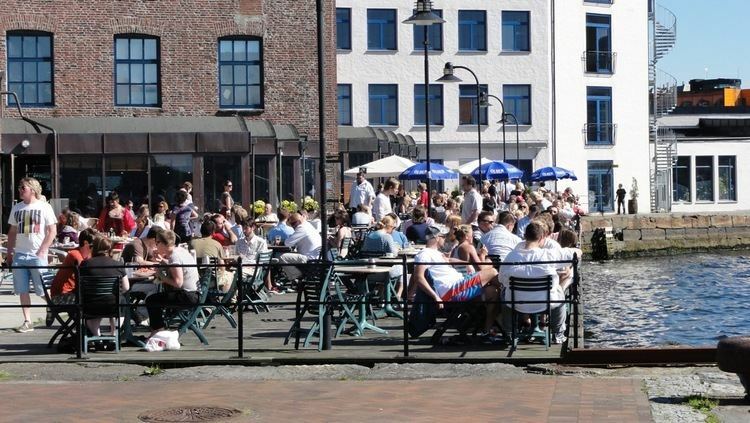 The immigrant population has thus accounted for 43.6% of Bergen's population growth and 60.8% of Norway's population growth during the period 1993–2008, compared with 84.5% in Oslo. The Church of Norway is the largest denomination in Bergen, with 201,006 (79.74%) registered adherents in 2012. Bergen is the seat of the Diocese of Bjørgvin with Bergen Cathedral as its centrepiece, while St John's Church is the city's most prominent. As of 2012, the state church is followed by 52,059 irreligious 4,947 members of various Protestant free churches, 3,873 actively registrered Catholics 2,707 registered Muslims, 816 registered Hindus, 255 registered Russian Orthodox and 147 registered Oriental Orthodox. The city centre of Bergen lies in the west of the municipality, facing the fjord of Byfjorden. It is among a group of mountains known as the Seven Mountains, although the number is a matter of definition. From here, the urban area of Bergen extends to the north, west and south, and to its east is a large mountain massif. Outside the city centre and the surrounding neighbourhoods (i.e. Årstad, inner Laksevåg and Sandviken), the majority of the population lives in relatively sparsely populated residential areas built after 1950. While some are dominated by apartment buildings and modern terraced houses (e.g. Fyllingsdalen), others are dominated by single-family homes. The oldest part of Bergen is the area around the bay of Vågen in the city centre. Originally centred on the bay's eastern side, Bergen eventually expanded west and southwards. Few buildings from the oldest period remain, the most significant being St Mary's Church from the 12th century. For several hundred years, the extent of the city remained almost constant. The population was stagnant, and the city limits were narrow. 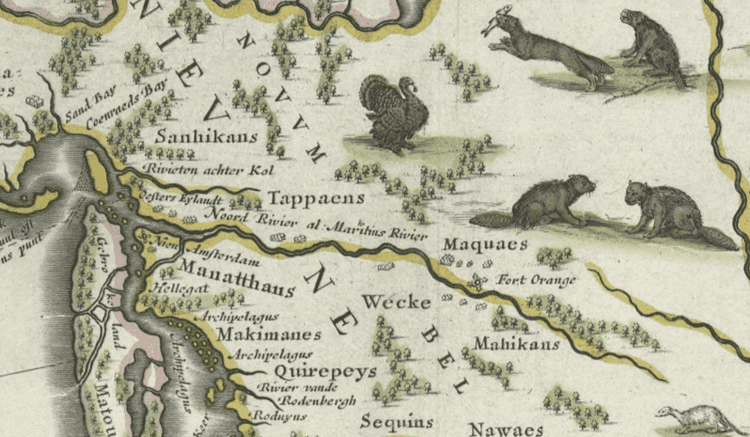 In 1702, seven-eighths of the city burned. Most of the old buildings of Bergen, including Bryggen (which was rebuilt in a mediaeval style), were built after the fire. The fire marked a transition from tar covered houses, as well as the remaining log houses, to painted and some brick-covered wooden buildings. 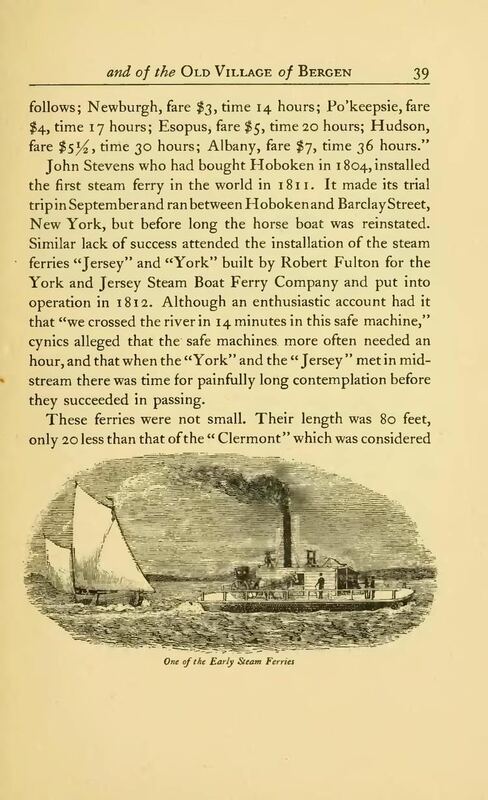 The last half of the 19th century saw a period of rapid expansion and modernisation. The fire of 1855 west of Torgallmenningen led to the development of regularly sized city blocks in this area of the city centre. The city limits were expanded in 1876, and Nygård, Møhlenpris and Sandviken were urbanised with large-scale construction of city blocks housing both the poor and the wealthy. Their architecture is influenced by a variety of styles; historicism, classicism and Art Nouveau. The wealthy built villas between Møhlenpris and Nygård, and on the side of Mount Fløyen; these areas were also added to Bergen in 1876. Simultaneously, an urbanisation process was taking place in Solheimsviken in Årstad, at that time outside the Bergen municipality, centred on the large industrial activity in the area. The workers' homes in this area were poorly built, and little remains after large-scale redevelopment in the 1960s–1980s. At the same time as planned city expansion took place inside Bergen, its extra-municipal suburbs also grew rapidly. Wealthy citizens of Bergen had been living in Fana since the 19th century, but as the city expanded it became more convenient to settle in the municipality. Similar processes took place in Åsane and Laksevåg. Most of the homes in these areas are detached row houses, single family homes or small apartment buildings. After the surrounding municipalities were merged with Bergen in 1972, expansion has continued in largely the same manner, although the municipality encourages condensing near commercial centres, future Bergen Light Rail stations, and elsewhere. As part of the modernisation wave of the 1950s and 1960s, and due to damage caused by World War II, the city government ambitiously planned redevelopment of many areas in central Bergen. The plans involved demolition of several neighbourhoods of wooden houses, namely Nordnes, Marken, and Stølen. None of the plans was carried out in its original form; the Marken and Stølen redevelopment plans were discarded and that of Nordnes only carried out in the area that had been most damaged by war. The city council of Bergen had in 1964 voted to demolish the entirety of Marken, however, the decision proved to be highly controversial and the decision was reversed in 1974. Bryggen was under threat of being wholly or partly demolished after the fire of 1955, when a large number of the buildings burned to the ground. Instead of being demolished, the remaining buildings were restored and accompanied by reconstructions of some of the burned buildings. Since 2000, the city of Bergen has been governed by a city government (byråd) based on the principle of parliamentarism. The government consists of seven government members called commissioners, and is appointed by the city council, the supreme authority of the city. After the local elections of 2007, the city has been ruled by a right-wing coalition of the Progress Party, the Christian Democratic Party and the Conservative Party, each with two commissioners. The Conservative Party member Trude Drevland is mayor—on unpaid leave since 1 September 2015, while conservative Ragnhild Stolt-Nielsen is the leader of the city government, the most powerful political position in Bergen. After the 2015 landslide elections for the Labour party, Marte Mjøs Persen (Labour Party) is the new Bergen mayor and Harald Schjeldrup (Labour Party) the new Bergen governing mayor. The Labour Party has formed a new centre-left city government including the Labour Party, the Liberal Party and the Christian Democrats. There were Norwegian local elections, 2011. In the 2015 election the Labour Party won the Bergen election with a landslide, and got 37,8 % of the votes up 9 percent from 2011, while the Conservative party lost 12,8 % and ended up at just 22,1 %. The Labour Party formed a new centre-left city government with the Liberal Party and the Christian Democrats. The Labour Party is now holding both the mayor office and governing mayor office. Bergen is divided into eight boroughs, as seen on the map to the right. Clockwise, starting with the northernmost, the boroughs are Åsane, Arna, Fana, Ytrebygda, Fyllingsdalen, Laksevåg, Årstad and Bergenhus. The city centre is located in Bergenhus. Parts of Fana, Ytrebygda, Åsane and Arna are not part of the Bergen urban area, explaining why the municipality has approximately 20,000 more inhabitants than the urban area. Local borough administrations have varied since Bergen's expansion in 1972. From 1974, each borough had a politically chosen administration. From 1989, Bergen was divided into 12 health and social districts, each locally administered. From 2000 to 2004, the former organisational form with eight politically chosen local administrations was again in use and from 2008 through to 2010, a similar form existed where the local administrations had less power than previously. The University of Bergen has 16,000 students and 3,000 staff, making it the third-largest educational institution in Norway. Research in Bergen dates back to activity at Bergen Museum in 1825, although the university was not founded until 1946. The university has a broad range of courses and research in academic fields and three national centres of excellence, in climate research, petroleum research and medieval studies. The main campus is located in the city centre. The university co-operates with Haukeland University Hospital within medical research. The Chr. Michelsen Institute is an independent research foundation established in 1930 focusing on human rights and development issues. Western Norway University of Applied Sciences has 6,000 students and 600 staff. It focuses on professional education, such as teaching, healthcare and engineering. The college was created through amalgamation in 1994; campuses are spread around town but will be co-located at Kronstad. The Norwegian School of Economics is located in outer Sandviken and is the leading business school in Norway, having produced three Economy Nobel Prize laureates. The school has more than 3,000 students and approximately 400 staff. Other tertiary education institutions include the Bergen School of Architecture, the Bergen National Academy of the Arts, located in the city centre with 300 students, and the Norwegian Naval Academy located in Laksevåg. The Norwegian Institute of Marine Research has been located in Bergen since 1900. It provides research and advice relating to ecosystems and aquaculture. It has a staff of 700 people. In August 2004, Time magazine named the city one of Europe's 14 "secret capitals" where Bergen's capital reign is acknowledged within maritime businesses and activities such as aquaculture and marine research, with the Institute of Marine Research (IMR) (the second-largest oceanography research centre in Europe) as the leading institution. Bergen is the main base for the Royal Norwegian Navy (at Haakonsvern) and its international airport Flesland is the main heliport for the Norwegian North Sea oil and gas industry, from where thousands of offshore workers commute to their work places onboard oil and gas rigs and platforms. One of Norway's largest shopping centres, Lagunen Storsenter, is located in Fana in Bergen, with a turnover of 2 540 million Norwegian kroner, and 5.2 million visitors every year. Tourism is an important income source for the city. The hotels in the city may be full at times, due to the increasing number of tourists and conferences. Prior to the Rolling Stones concert in September 2006, many hotels were already fully booked several months in advance. Bergen is recognised as the unofficial capital of the region known as Western Norway, and recognised and marketed as the gateway city to the world-famous fjords of Norway and for that reason it has become Norway's largest – and one of Europe's largest – cruise ship ports of call. Bergen Airport, Flesland, is located 18 kilometres (11 mi) from the city centre, at Flesland. In 2013 the Avinor-operated airport served 6 million passengers. The airport serves as a hub for Scandinavian Airlines, Norwegian Air Shuttle and Widerøe; there are direct flights to 20 domestic and 53 international destinations. Bergen Port, operated by Bergen Port Authority, is the largest seaport in Norway. In 2011, the port saw 264 cruise calls with 350,248 visitors, In 2009, the port handled 56 million tonnes of cargo, making it the ninth-busiest cargo port in Europe. There are plans to move the port out of the city centre, but no location has been chosen. Fjord Line operates a cruiseferry service to Hirtshals, Denmark. Bergen is the southern terminus of Hurtigruten, the Coastal Express, which operates with daily services along the coast to Kirkenes. Passenger catamarans run from Bergen south to Haugesund and Stavanger, and north to Sognefjord and Nordfjord. The city centre is surrounded by an electronic toll collection ring using the Autopass system. The main motorways consist of E39, which runs north–south through the municipality, E16, which runs eastwards, and National Road 555, which runs westwards. There are four major bridges connecting Bergen to neighbouring municipalities: the Nordhordland Bridge, the Askøy Bridge, the Sotra Bridge and the Osterøy Bridge. Bergen connects to the island of Bjorøy via the subsea Bjorøy Tunnel. Bergen Station is the terminus of the Bergen Line, which runs 496 kilometres (308 mi) to Oslo. The Norwegian State Railways operates express trains to Oslo and the Bergen Commuter Rail to Voss. Between Bergen and Arna Station, the train runs about every 30 minutes through the Ulriken Tunnel; there is no corresponding road tunnel, forcing road vehicles to travel via Åsane or Nesttun. Bergen is one of the smallest cities in Europe to have both tram and trolleybus electric urban transport systems simultaneously. Public transport in Hordaland is managed by Skyss, which operates an extensive city bus network in Bergen and to many neighbouring municipalities, including one route which operates as a trolleybus. The trolleybus system in Bergen is the only one still in operation in Norway and one of two trolleybus systems in Scandinavia. Bergens Tidende (BT) and Bergensavisen (BA) are the largest newspapers, with circulations of 87,076 and 30,719 in 2006, BT is a regional newspaper covering all of Hordaland and Sogn og Fjordane, while BA focuses on metropolitan Bergen. Other newspapers published in Bergen include the Christian national Dagen, with a circulation of 8.936, and TradeWinds, an international shipping newspaper. Local newspapers are Fanaposten for Fana, Sydvesten for Laksevåg and Fyllingsdalen and Bygdanytt for Arna and the neighbouring municipality Osterøy. TV 2, Norway's largest private television company, is based in Bergen. The 1,500-seat Grieg Hall is the city's main cultural venue, and home of the Bergen Philharmonic Orchestra, founded in 1765, and the Bergen Woodwind Quintet. The city also features Carte Blanche, the Norwegian national company of contemporary dance. The annual Bergen International Festival is the main cultural festival, which is supplemented by the Bergen International Film Festival. Two internationally renowned composers from Bergen are Edvard Grieg and Ole Bull. Grieg's home, Troldhaugen, has been converted to a museum. During the 1990s and early 2000s, Bergen produced a series of successful pop, rock and black metal artists, collectively known as the Bergen Wave. Den Nationale Scene is Bergen's main theatre. Founded in 1850, it had Henrik Ibsen as one of its first in-house playwrights and art directors. Bergen's contemporary art scene is centred on BIT Teatergarasjen, Bergen Kunsthall, United Sardines Factory (USF) and Bergen Center for Electronic Arts (BEK). Bergen was a European Capital of Culture in 2000. Buekorps is a unique feature of Bergen culture, consisting of boys aged from 7 to 21 parading with imitation weapons and snare drums. The city's Hanseatic heritage is documented in the Hanseatic Museum located at Bryggen. SK Brann is Bergen's premier football team; founded in 1908, they have played in the (men's) Norwegian Premier League for all but seven years since 1963 and consecutively, except one season after relegation in 2014, since 1987. The team were the football champions in 1961–62, 1963 and 2007, and reached the quarter-finals of the Cup Winners' Cup in 1996–97. Brann play their home games at the 17,824-seat Brann Stadion. FK Fyllingsdalen is the city's second-best team, playing in the Second Division at Varden Amfi. Its predecessor, Fyllingen, played in the Norwegian Premier League in 1990, 1991 and 1993. Arna-Bjørnar and Sandviken play in the Women's Premier League. Bergen IK is the premier men's ice hockey team, playing at Bergenshallen in the First Division. Tertnes play in the Women's Premier Handball League, and Fyllingen in the Men's Premier Handball League. In athletics, the city is dominated by IL Norna-Salhus, IL Gular and FIK BFG Fana, formerly also Norrøna IL and TIF Viking. The 1986 edition of the Eurovision Song Contest took place in Bergen. Bergen is the host city for the 2017 UCI Road World Championships. Bergen is considered to be the street art capital of Norway. Famed artist Banksy visited the city in 2000 and inspired many to start creating street art. Soon after, the city brought up the most famous street artist in Norway: Dolk. His art can still be seen in several places in the city, and in 2009 the city council choose to preserve Dolk's work "Spray" with protective glass. In 2011, Bergen council launched a plan of action for street art in Bergen from 2011 to 2015 to ensure that "Bergen will lead the fashion for street art as an expression both in Norway and Scandinavia. The Madam Felle (1831–1908) monument in Sandviken, is in honour of a Norwegian woman of German origin, who in the mid-19th century managed, against the will of the council, to maintain a counter of beer. 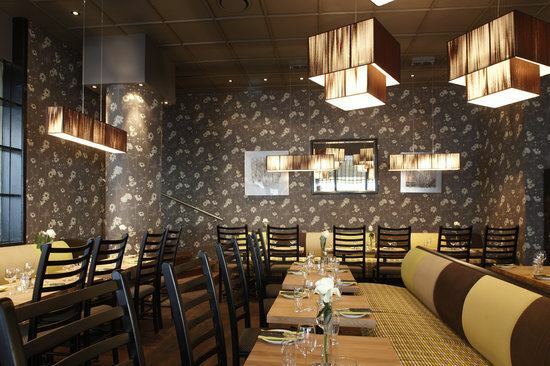 A well-known restaurant of the same name is now situated at another location in Bergen. The monument was erected in 1990 by sculptor Kari Rolfsen, supported by an anonymous donor. Madam Felle, civil name Oline Fell, was remembered after her death in a popular song, possibly originally a folksong, "Kjenner Dokker Madam Felle?" by Lothar Lindtner and Rolf Berntzen on an album in 1977.